Appetizers | eat. cook. blog. This is yet another really old recipe. It’s from Better Foods & Gardens magazine and was the $200 winner in the Prize Tested Recipes® section, submitted by Laurie Robinson from Tonasket, WA, in the “cheesy appetizer category”, October 2002. I just love the combination of cheese, dried fruit and nuts. I used to make it a lot and made it often when we’d have family and friends over for Sukkot (read more about this Jewish holiday here) and even part of our breaking-the-fast meal. It’s light and easy and reminds me of fall. Tony’s sister Kelly was particularly fond of it. Then one time her husband asked me what it was called and I said, “Fruited Cheese Log” and he thought that was the funniest thing ever. He was like, “it’s really good, but you gotta change the name. There’s nothing appetizing about a log of cheese.” So then of course, every time I’d pull out the recipe after that, I’d think “there’s nothing appetizing about a log of cheese” and I’d put the recipe back. Well, I’m going to tell you…this particular log of cheese is appetizing. In fact, it’s actually quite yummy! I’m proud to say that I’ve brought the recipe out again and will be back in the regular line-up! 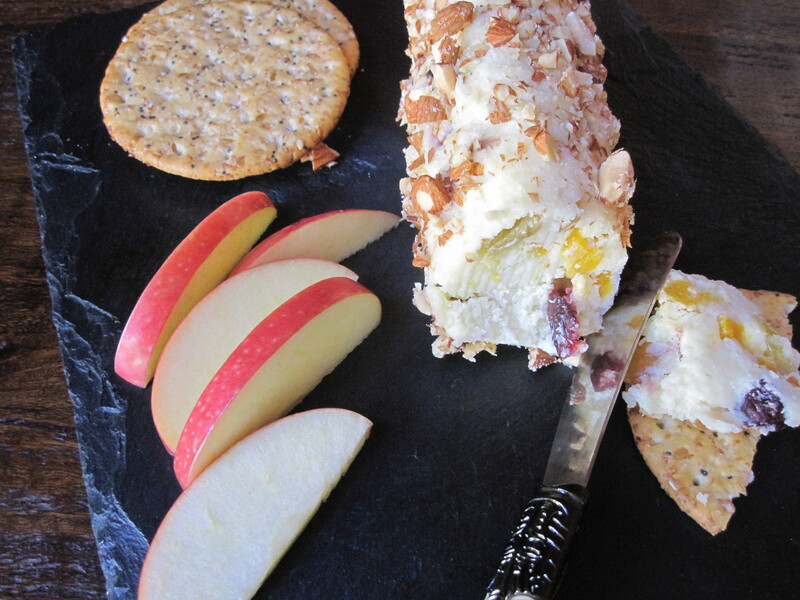 It’s great spread on crackers or sliced apple. We even “shmeared” it on toasted bagels the other morning. Place jack cheese, cream cheese and orange juice in a medium bowl. Beat with an electric mixture (or use the paddle attachment of a stand mixer) until thoroughly combined. Stir in dried fruit. Serve with assorted crackers or apple slices. I’ve kept the extra cheese log in the fridge for a week or so. Rosh Hashanah starts Wednesday at sundown. I kept meaning to write a post with a nice recipe for the holiday. Trouble is, yesterday was Labor Day, we had a few people over for a nice BBQ, which was a lot of fun, but I was in barbecue mode, not really in the Jewish holiday mindset (though I did use Martha’s idea for using a carved out apple as a honey dish and we all said a quick blessing over apples and honey). It’s also been unbelievably HOT and humid in San Diego lately. I think it was 95 degrees today. (Not really thinking about kugel and roast chicken right now…oy.) So late last night, I went to the Epicurious site and saw “get ready for Rosh Hashanah with these recipes for the Jewish New Year”. There were a few categories…”Apples, Honey, Brisket, Pomegranate”. I wasn’t really interested in a baked apple kugel or a honey cake and for sure not roasting a brisket for four hours, so I clicked on “Pomegranate”. I actually love using pomegranate arils (seeds) in all kinds of different dishes (see below), including the infamous Pomegranate Margarita. Okay, and here’s your Jewish lesson for today. 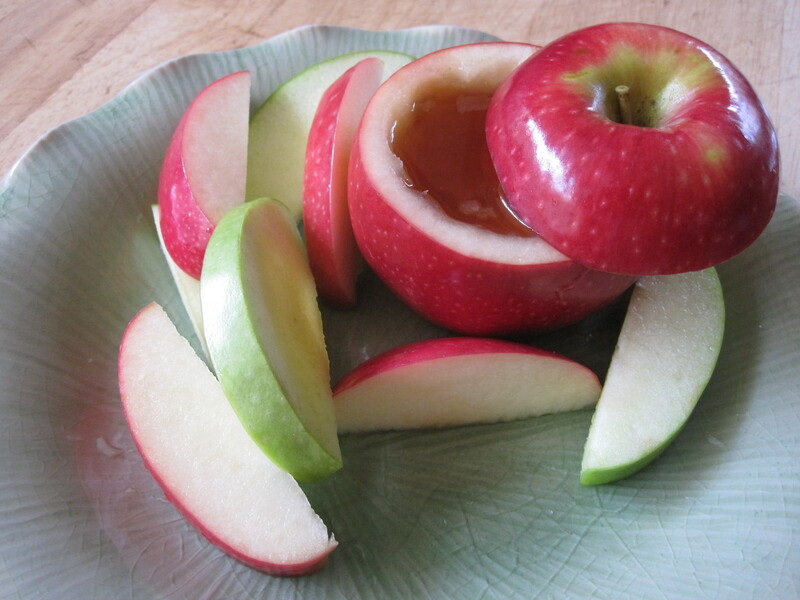 We all know why we dip apples in honey at Rosh Hashanah, right? It symbolizes our wish for a sweet new year. But do you know why we eat pomegranates? For one, because they are a “new fruit” (meaning, a fruit that has recently come into season but that we have not yet had the opportunity to eat). A pomegranate is often used as this new fruit…Israel is praised for its pomegranates. It is also said that they contain 613 seeds just as there are 613 mitzvot (commandments). And (my favorite), it symbolizes that the new year should be bursting with sweetness and blessings as numerous as the seeds of the pomegranate. 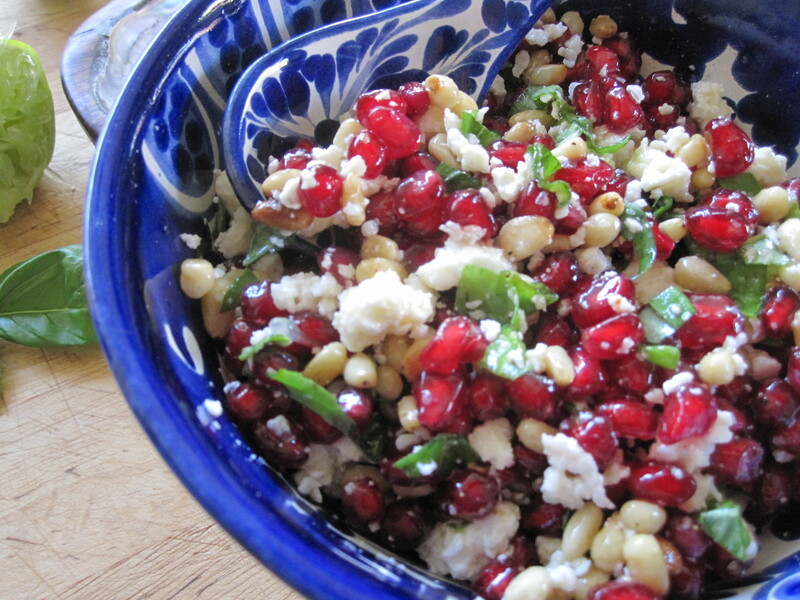 Back to the pomegranate recipes. I found this one for Pomegranate and Queso Fresco Salsa from Marcela Valladolid, Mexican Made Easy: Everyday Ingredients, Extraordinary Flavor. Sounded really delicious and easy. And I do love Mexican food. Thought it would be really good on carne asada tacos. Done and done. I did alter it just a bit (used Cotija cheese rather than queso fresco, because that’s what I had on hand and added a little lime juice). Oh, and truth be told, when I stopped at Trader Joe’s, I bought a package of their fresh pomegranate seeds and, yes, some already marinated carne asada. It was muy delicioso in the tacos. I think it would also be delicious on grilled fish, chicken (like paillards) or lamb. You can do any of these for a non-traditional Rosh Hashanah meal OR, I bet it would be a perfect accompaniment to a roast chicken…or, dare I say, brisket? Oh, and here are some of my other favorite Rosh Hashanah recipes here on the blog: Apple/Pomegranate/Blue Cheese Salad with Honey Vinaigrette, Seven Species Salad, Apples & Honey Cake, Spiced Applesauce Cupcakes with Cinnamon Cream Cheese Frosting, and Oatmeal/Pomegranate/White Chocolate Chip Cookies. L’shana Tova and may the new year be bursting with sweetness and blessings as numerous as the seeds of the pomegranate! Toast the pine nuts in a dry skillet over medium heat until golden, about 4 minutes. Transfer to a plate to cool. In a small bowl, mix the seeds, basil, cheese and cooled pine nuts. Drizzle with the olive oil and lime juice. Stir gently. Season with salt and pepper. *To seed fresh pomegranate – over a bowl (to catch any juices), cut the pomegranate into four pieces. Then cover the pieces, in the bowl, with cold water and start pulling the seeds out with your hands. The seeds will fall to the bottom and the “other stuff” will rise to the top. Now remove the “other stuff” and drain the water. We live in this incredible neighborhood. We’ve been in the same house for over 24 years and many of our neighbors have been in the ‘hood for that long too. We moved in on Kyle’s second birthday (he’s now 26) and I was pregnant with our daughter Ally. We have a Fourth of July block party and a holiday progressive party where we go from one house to another for different courses. Kyle tagged it the “holiday REgressive” because, well, in addition to really great food, there’s a lot of wine involved too and the final house (Arnie & Adrienne’s) always serves Glug (or Gløgg? ), a very potent mulled wine. You’ll often find a box of lemons or limes or grapefruits or zucchini with a sign that says, “free…take some” by the mailboxes. We bring each other fish from fishing trips and herbs from our gardens, pickles and baked goods from our kitchens. 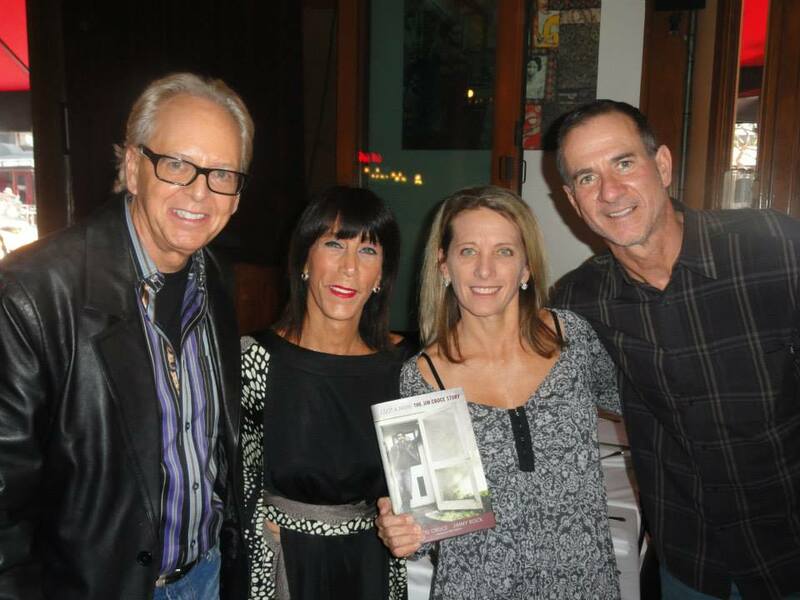 We take care of each other when there’s a surgery or a health issue or the loss of a loved one. About a month ago, Arnie had knee surgery and then his wife Adrienne was out of town for a couple days, so we brought him all the fixings for a carnitas dinner. I saw Arnie driving the other day (yay…he’s driving!). He stopped me to thank me for the carnitas and said he really needed help getting tangelos and Meyer lemons from his trees. So of course I sent Tony, who after climbing a ladder to help pick fruit, came home with two grocery bags full!!! 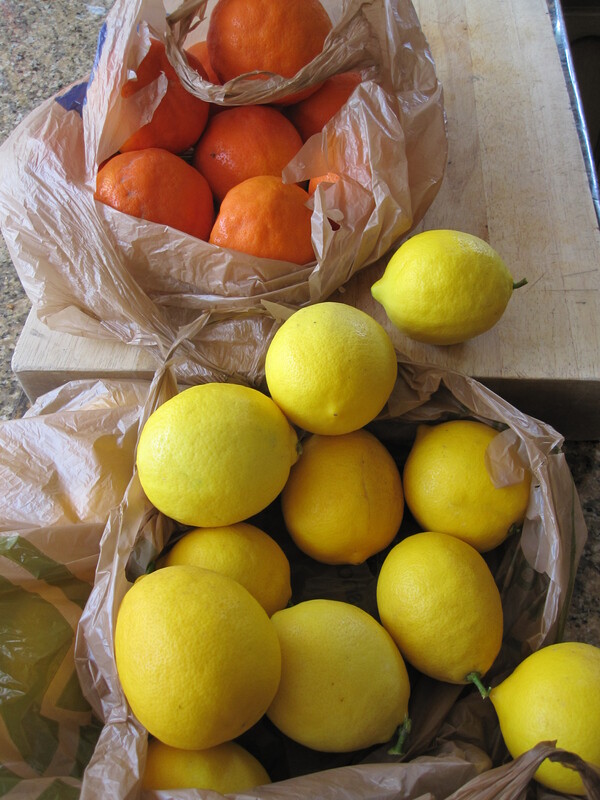 Tangelos and Meyer lemons. Thanks Arnie!! 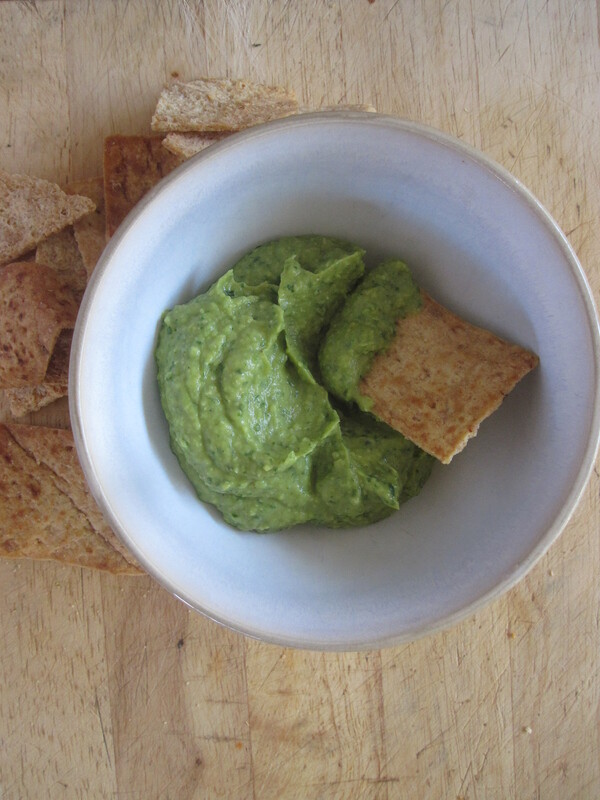 AND a little container of Arnie’s homemade Avocado Cilantro Hummus. Wowee. Pleasant (and very delicious) surprise. OMG. I couldn’t stop eating it. He even included the recipe and told Tony, “tell Cheryl its from my blog. Ha ha.” (Everyone’s a comedian). Place the chickpeas, garlic, lemon juice, tahini and 2 tablespoons of olive oil in a food processor and puree until smooth, Add the avocado and cilantro, and puree until very creamy. 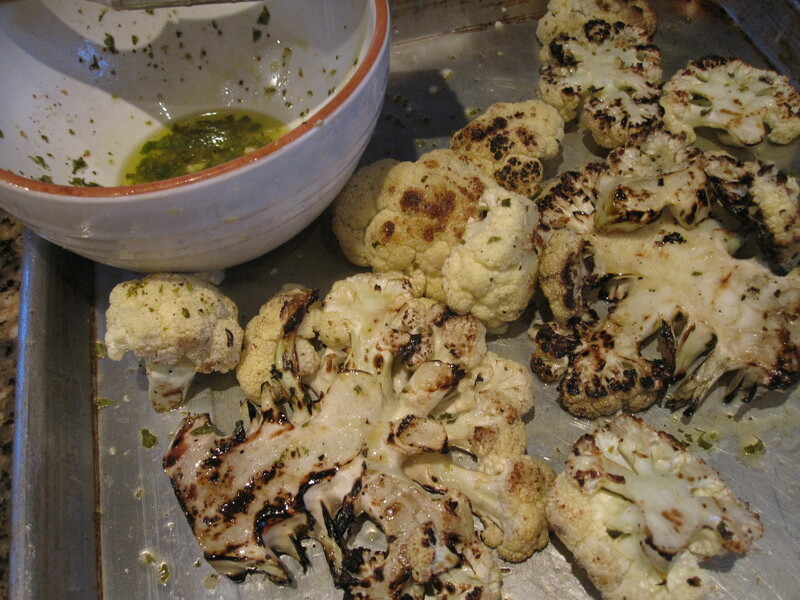 Add more olive oil or a couple of tablespoons of water for thinner consistency, if desired). I do like my hummus a little thinner, and ended up adding about two additional tablespoons olive oil and two tablespoons water. My lemon was small, so I squeezed another half.) Season to taste with salt & pepper. Chill the hummus before serving. **Arnie says “don’t buy ready-made tahini. Buy several ounces of sesame seeds and toast them in the oven at 350 degrees until just golden, not brown. Add a little olive oil and puree in food processor. Store in fridge for subsequent batches.” Sorry Arnie. I used store-bought. Carole, my Birthday Buddy at work, gave me a bottle of black truffle oil (and some delicious dark chocolate crisp thingies and an adorable apron) and I’ve been trying to figure out what to do with it. You see truffled this and truffled that everywhere now. My brother-in-law Josh makes a yummy truffled mac & cheese. I had a really delicious appetizer called Truffled Egg Toast (sorta like a French toast, only truffley, with fontina cheese and asparagus) the other night at Davanti Enoteca. Okay, again I digress. I’m already doing Sam’s Smoked Salmon Deviled Eggs and a Chocolate and Mixed Nut Tart. But what to do with the truffle oil? Then I remembered that there’s a newish restaurant here called Brooklyn Girl and they serve different gourmet popcorns as a snack before dinner. The night we were there it was something curry. So how about a truffled popcorn? And I had seen some cute little popcorn boxes at Cost Plus! Bingo. And did you know that Trader Joe’s even sells organic popcorn kernels? So I searched and pulled a few different recipes (from Martha, Ina Garten, the Washington Post and Epicurious) and came up with this. How fun will this be for New Year’s Eve? Plus…it’s a rainy day in San Diego. Tony’s at the Charger-Raider game. I’m going to be able to sample it while watching “The Five Year Engagement”. HA! You can pop the popcorn however you like. I experimented first with Trader Joe’s micro popcorn. Each mini bag makes about two cups. If you’re using kernels, 1/4 cup kernels will yield about 8 cups of popped popcorn. Heat the butter and truffle oil in a small saucepan over medium-low heat until melted and warmed through. Place the freshly popped popcorn in a large bowl. Add the butter/truffle oil and toss well. Add the cheese and parsley; toss to distribute evenly. Season with salt & pepper. Serve in cute cardboard popcorn boxes or mini paper bags. Oh yeah. The deviled eggs. 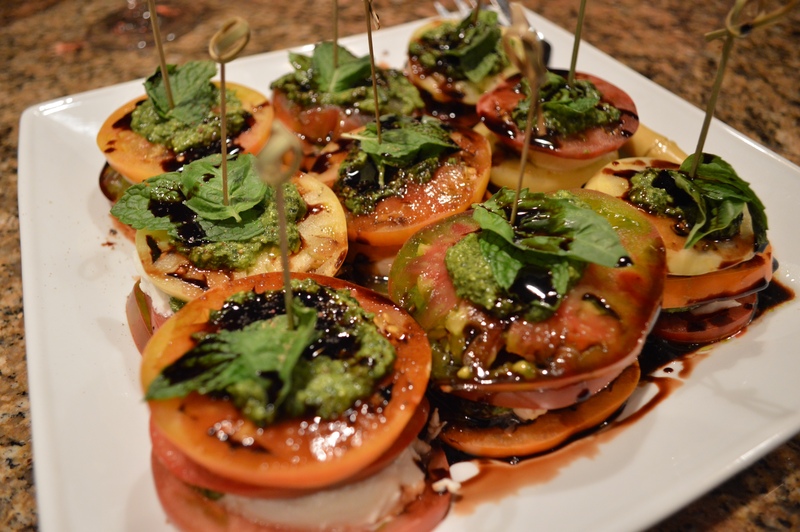 Sam’s made these a few times for family get-togethers and they are always a winner. He made a bunch for Tony’s birthday celebration last week (Tony’s December 25 birthday…you’ll hear a lot more about that in the near future) and they were devoured. I suggest you try them. 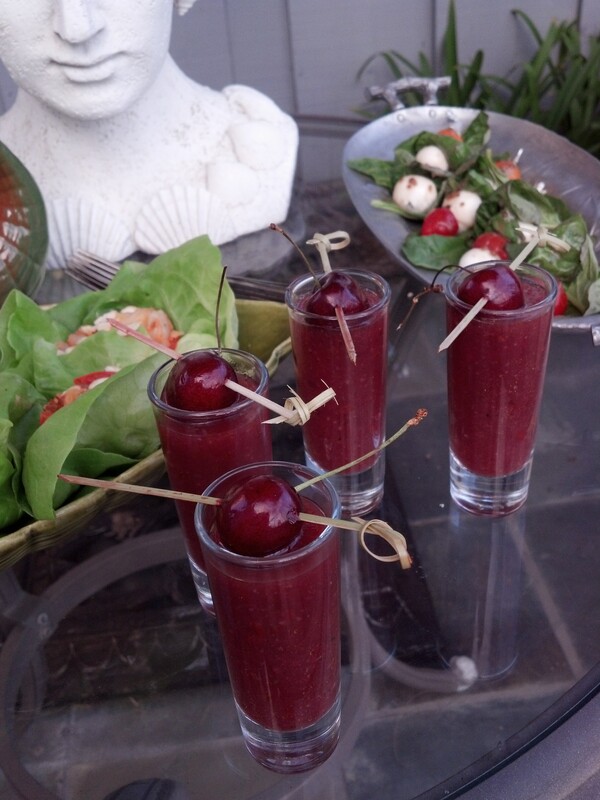 Caviar (optional) for garnish – I’ll definitely being adding caviar for New Year’s Eve! Slice eggs down the middle lengthwise. Put the egg white halves on your serving plate and the yolks in a bowl. Mash the yolks with a fork. Add salmon, mayo, red & green onion, hot sauce, salt, pepper and mustard. Mix well. Using a small spoon (or if you want to get really fancy, a cake decorating tip), fill each of the egg white halves with the yolk mixture. 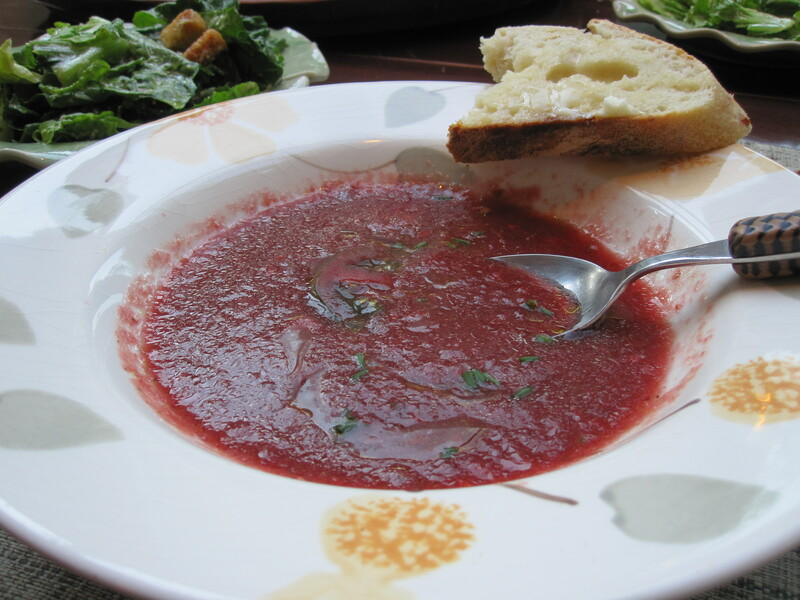 Garnish with the additional chopped green onion or chives and caviar, if using. Sam’s note: you can get these all set a few hours in advance, but don’t add the caviar until the last minute because when it sits on the eggs too long, the liquid can come out and make the top of the eggs a bit messy. I know what you’re thinking, “really, Cheryl, artichoke dip? So boring. Everyone makes that and you can buy it pre-made everywhere.” Well, this one is different. Why? Feta cheese. I actually found this recipe on the underside of the lid of a container of crumbled feta cheese a long time ago. How long ago? I had made a copy of the recipe and when I pulled it out to make it today, I see it says “sell by Jul 04 03”. And I’ve made it countless times since. It’s delicious and super easy. 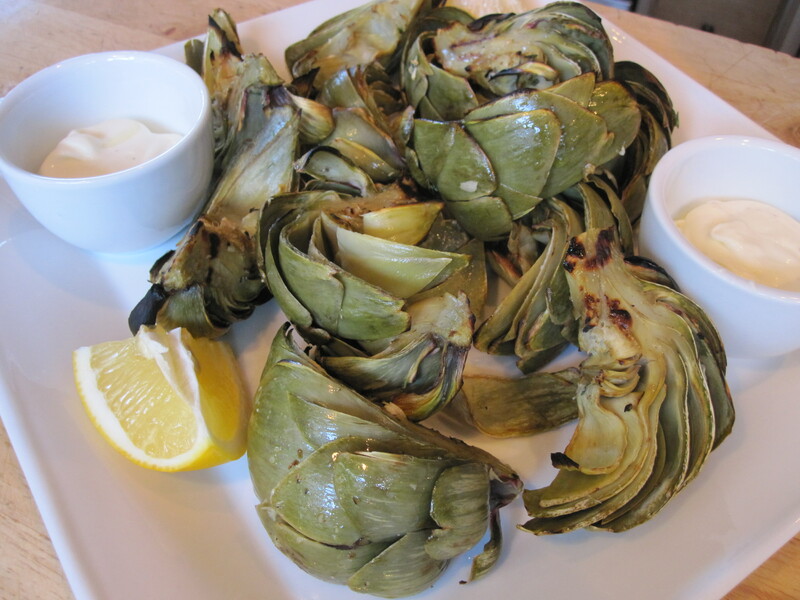 In fact, once when I was out of town and Tony was invited somewhere for dinner, he offered to bring an appetizer. Then, of course, he called me asking what he should make. I suggested this. He did and it was a hit. I’ve adapted it somewhat over the years. The original recipe calls for pimentos (blech) and two 4-ounce containers of feta cheese (of course it does; they want to sell more of their cheese; but I’ve found a couple of brands that come in 6-ounce packages and that works just fine) AND a whole cup of mayo; I’ve halved that. PS When I say I made it today; I made it for no other reason than so I could write about it and photograph it. And now Tony is really excited because we get to eat it tonight! Mix all ingredients in a bowl. Spoon into pie pan or shallow baking dish. Sprinkle with paprika. Bake at 350° for 20-25 minutes until lightly browned. Serve hot with crackers or pita triangles.